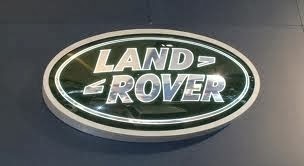 Private sale of 2008 (58 plate) Land Rover Defender 110 XS 2.4TDi. The Defender has covered 52,047 miles. Priced to sell. Painted in metallic Izmir Blue, which is a factory option but not seen very often. Factory fitted checker plates to wings, side and rear plus side steps. Also has the Towing Pack and Winter Pack options. It was serviced at 46,851 miles by Newbury 4x4. I asked them at the last service to bring any maintenance up to date. This was done and cost over £800. It also had a new heated windscreen fitted 5 months ago due to a stone chip and had two new front General Grabber TR tyres fitted 4 months ago. There is a dint to the nearside front wing where I hit the top of a wheelie bin which appeared out of nowhere! Other than that, there are a few of the usual steel bolts going a bit rusty but they can be changed. The car has had very little use off road whilst I have owned it and is very reliable. It has the usual off road features including anti-stall which means you can take your foot off the accelerator and it drives itself up and down hills safely. There car has just been taxed for 6 months from June and it's MOT'd until December this year. This is a really straight Defender which hasn't let me down and I often get comments from people on how smart it looks. I'm selling because we've had a new baby and the wife thinks its unsuitable so I have had to order a different car. Any questions, please let me know and thanks for looking.